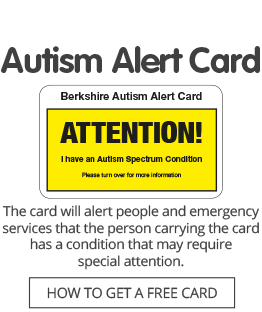 Autism Berkshire is delighted to be present another free workshop about accessing public services for parents and carers of children with disabilities, and professionals who support them, in conjunction with Cerebra, the charity for children with brain conditions, including autism. If you are struggling to secure support for a child with autism or a disability from local authorities, schools or the NHS and want to know about your rights and how to make your case, or are a professional looking to improve your expertise so you can support your clients, the course is packed with useful information. The workshop is open to parents and carers living anywhere in Berkshire and professionals who work in the county. Identifying and using the problem-solving approaches within Cerebra’s Accessing Public Services Toolkit. The workshop will be held in Reading on Thursday, May 23, at RISC (Reading International Solidarity Centre), at 35-39 London Street, from 10am to 2pm – there will be a half-hour break for lunch from noon to 12.30pm. RISC has its own café and there are other for outlets available nearby. Click here for more details of the workshop and to register for free places online. Please note that there is no car parking available at RISC, unless you are a disabled blue badge holder, and these spaces must be booked in advance by contacting the RISC office. Fee-paying car parking is available nearby at The Oracle Centre and at the NCP Queens Road car park. RISC is a short walk from town centre bus stops and about 10 minutes’ walk from the railway station. We would like to thank Reading Buses for their help with funding the costs of running this workshop.